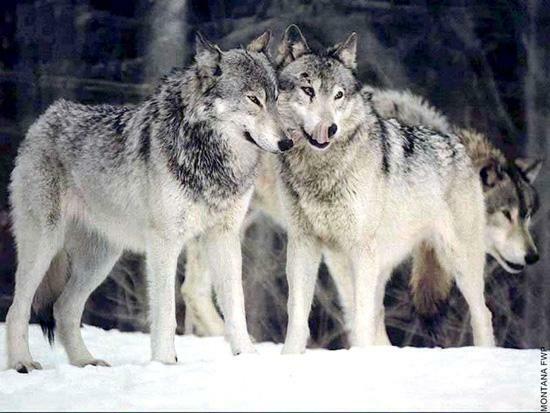 There are many different sizes and colors of wolves around the world. Their colors range from white to gold, brown to red. They are even bi-colored and tri-colored wolves. But did you know that ALL of them belong to only one species of wolf? Canis Lupus - the Gray Wolf. 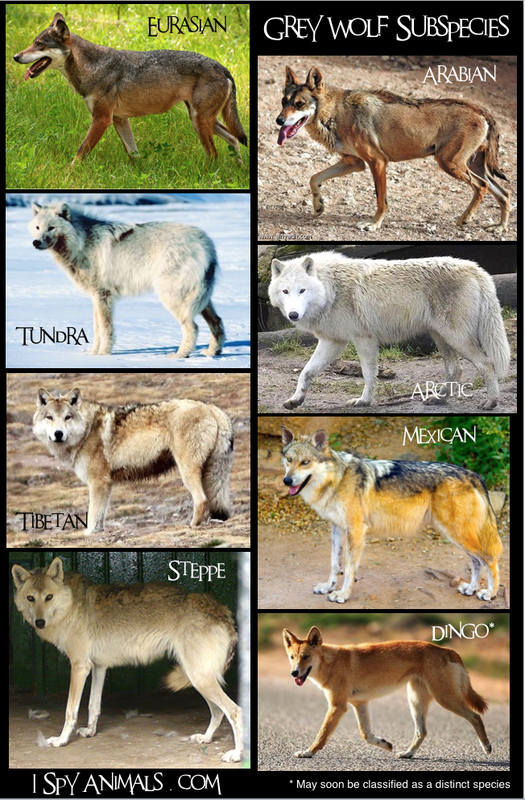 These are all subspecies of the Gray wolf. Quite a difference in their appearances! 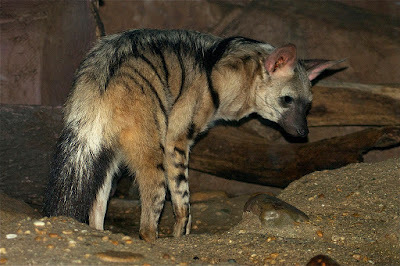 There are even more subspecies, but they are extinct. Got anything to say about wolves? I'd love to hear from you! Hi! 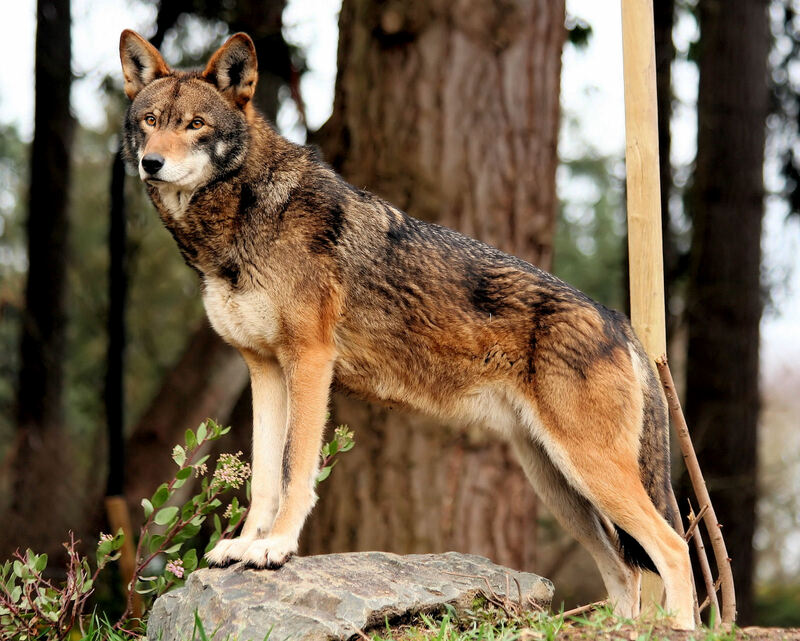 I could be wrong, but I am fairly sure that the picture of the Mexican wolf is actually just a regular dog. The ears are not as furred as wolves' nor are they small and rounded, and it does not look to have a thick mane as wolves do. The feet don't have noticable toes and are like "kitty feet" (meaning they are neat and compact), the body is a lot thicker and stout, and the legs are not as long/thin as a wolf's would be. The coloring also seems to be that of a regular dog and not a wolf, as wolves' fur is very blended with no distinct markings. The animal's head is also larger compared to it's body and is positioned higher and not low hanging. Again I could be wrong, but I am almost certain that the Mexican wolf picture is a dog. 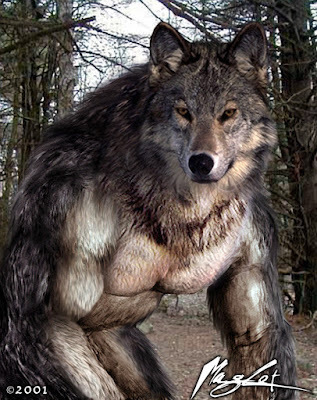 There are many dog breeds that look "wolfy" but really don't posses many distinct wolf traits; even though there are multiple subspecies of wolves, they all are very distinguishable from dogs. I'm not an expert but I have been learning a lot about misrepresentation, and even though it is rarely ever intentional, it can be very harmful and has gotten many people's pets, and dogs in shelters killed. I would encourage you to read about/look up this issue to know more specific details, as I am still learning too, and what we can do about it. 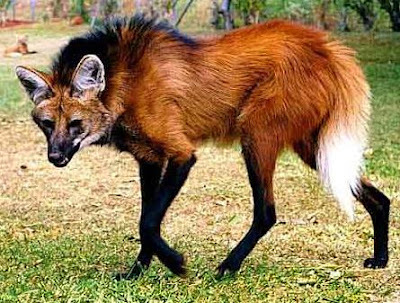 What about the Ethiopian wolf that is very similar to the gray wolf, or the Eastern wolf of eastern Canada and north eastern United states.